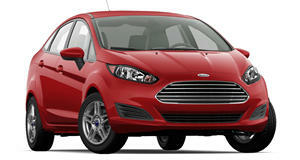 If these two join the Fiesta, Ford would effectively cleanse most of its sedan lineup. GM still seems to be working out if it’ll kill off some of its most iconic sedan nameplates whether brand new or decides old, but it’s no the only American automaker that’s finding consumer choice to be a major influence in the ethnic cleansing of the sedan. 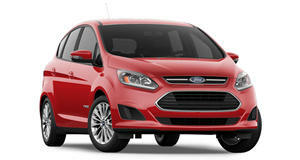 The Detroit News has found out that Ford is now on the same unfortunate boat that could end in the death of previously well-established bread and butter sedans. The one with the most prestigious name is the Taurus, which launched in 1986 and was received extremely well by buyers at the time. Its jelly bean shape touched off a design revolution among Detroit’s Big Three as each tried to replicate the Taurus’ success. If the Taurus is axed, it would join the Fiesta, which we announced would be stricken from the diet of American roads and driveways by 2018. 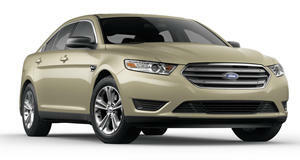 Sources have told TDN that the Taurus will see its fate in the US at the same time as the Fiesta. Following that will be the spacious yet questionable-looking C-Max, which, if these plans materialize outside of the text, would meet its demise sometime in early 2019. It’s worth noting that even with these cars stricken from US production, they will likely not be phased out entirely because other markets still buy them at a reasonable enough rate to keep them in production. Ford could divert Chinese-built Taurus sedans to America to feed the trickle of demand and keep police forces supplied with Interceptor sedans, much to the overjoy of the Trump administration. General Motors could do the same for the models it discontinues in the US for that matter, but it at the moment neither automaker will issue comments as the matter pertains to “future product plans.” Out of the Blue Oval pile, the C-Max has the most hope, with Ford announcing that plans for the vehicle, including potential replacements, would be part of a future announcement. This, apparently, is the way the sedan ends. Not with a whimper but with a bang.